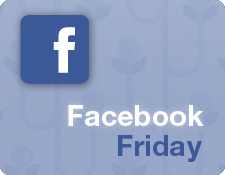 It’s Facebook Friday — each week we’ll offer one tip for leveraging Facebook to increase customer awareness of and engagement with your brand or business. This week we’ll give you a quick walkthrough of the process of using Facebook’s Promote button, which allows you to pay for prominent placement for a post in your fans’ News Feeds. The feature began testing in late April and the Promote button appeared to any Facebook Page with more than 400 Likes earlier this week. It’s only a click away when you’re writing any update to your Page’s Facebook Timeline, be it a photo you want to share with your fans or a status update. To promote a post, just start writing one in the text field at the top-left of your Facebook Page’s Timeline. As soon as you click in the text field, a button that says “Promote” will appear beneath that field. Click it and you’ll see a drop-down menu that gives you various buy-in options. Below that there’s an estimation of how many people the buy will reach. Click the drop-down and select the amount you want to pay to see an updated estimation. Once you’ve selected your buy amount, you can just click the blue “Save” button to finalize the purchase as long as you have a payment method saved (more on that momentarily). Click the small, blue “More Options” link to access some more information. It’s here that you can review your payment information and the duration of your promotion, and specify a currency if you’d like to pay in something other than U.S. dollars. Note that you currently can’t change the duration of the promotion — it’s always three days — but that may change some day. There’s also a small, grey, gear-like icon at the bottom-left corner of the Promote menu. Click this to see a few more options: “Change payment method,” “Visit Help Center,” and “Send Feedback.” The Help Center provides some detailed instructions for using the feature, while the payment method option simply takes you to the page where you can look at your already-registered payment information. You’ll have to create an ad in order to add payment information. When you create your Promoted post ad, your update will initially appear in your fans’ News Feeds just like any other update. It has to go through a human review process before it gets sponsored impressions. Facebook suggests that the delay in this review process will be very short, but it can be difficult to predict. That said, Facebook’s team members are aware that many of these promotions are timely in nature, so they try to crank them out as quickly as possible.